I hope you are enjoying looking through my blog. I am happy to be considered by PR agencies and individual companies with regards to being sent products for review, or with regards to reviewing and reporting on events and days out. I will accept paid and affiliate advertising if I feel it fits the ethos of my blog. I will also accept sponsored posts – again, only if I feel the content is relevant to my blog and posts. I am also happy to hear from any companies or individuals who would be interested in running a competition with me. Take one of my buttons! I have emailed you again. Hi, I have won the Babybundle Snuggletoes competition. I have replied to each of your emails with my details and just wanted to confirm this with you. Hello! *waves* I’m a new blogger, came across your blog via twitter and I love it!! How long have you been blogging? Your photos are wonderful it’s so nice to follow your adventures. Hello, lovely to ‘meet’ you! I have been blogging for 3 years now (gosh, where does the time go?!) and I really enjoy it 🙂 I am just off to take a look at your page now. Hi, We look into your blog and want to share industry related article to publishing on your blog we can pay the fee for publishing. Please let us know for further action. 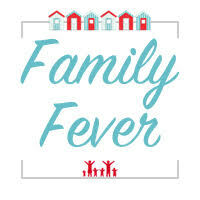 We’re interested in advertising on blogs, like My Family Fever. Are you able to let me know the different advertising options you offer? We’re specifically interested in guest posts. If you drop me an email at katefever6@gmail.com we can discuss options. My name is Vicky and I run a food and health blog at AvocadoPesto.com. I’m also very passionate about travel and lifestyle and I have visited more than 65 countries. I’m looking to contribute to other blogs, so I would love to write a guest post for your blog. Feel free to contact me on katefever6@gmail.com and we can discuss this.